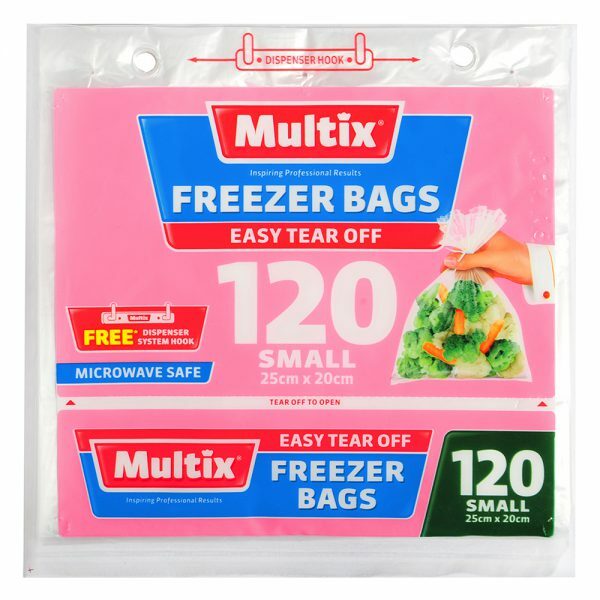 120 Small Multix Freezer Bags. They are easy to tear off and are microwave safe. Size: 25cm x 20cm.